Home / news / president duterte / Rappler / social media / 'Martial Law' on Facebook: Does Rappler delete pro-Duterte comments? Accused of deleting pro-Duterte comments, social news network Rappler has issued a statement and denied imposing "Martial Law" on Facebook. In a post on Friday, August 26, Rappler said they "will be aggressively deleting crude and disrespectful posts and comments that violate standards of civility." Freedom of speech does not mean license to smear reputation and ruin credibility. Nor does it mean the freedom to be irresponsible and to defame. Freedom of speech, rather, is the recognition of the right of anyone to speak his or her mind, and to express a contrary view without being objectionable. We are reclaiming our space as one that is safe from harassment on social media. No one should be afraid to write or speak what he or she thinks. 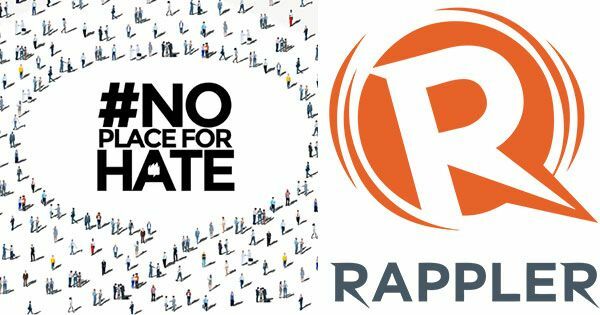 On Rappler, you should feel safe to express yourself without fear of being attacked and swarmed by an army of anonymous commenters who seek to silence and tame. Facebook user Markuz Rowie asked whether or not Rappler is imposing "Martial Law" for banning cuss words on their Facebook page. He also advised the news outlet to fix their headlines first so as not to gain haters. "Martial Law sa page na to? Kasama sa Freedom of Expression ang magmura diba? Yung headline po ang ayusin nyo at wag po kayo mag alala kung marami kayo haters kasi it means na marami kayo follower," the netizen commented. "Pwede pa naman po kayo magmura, basta po dun niyo lang po gawin sa page ninyo. Hindi po ito martial law. Hindi po kayo namin pinipigilan magsalita sa sarili ninyong Facebook account. Ang amin lang po, kung magkukomento kayo sa page NAMIN, ay sundin ninyo ang aming mga patakaran. Bukas kami sa lahat ng panig at pananaw – basta’t marunong tayong rumespeto sa kapwa na may taliwas na paninindigan," Rappler replied. The news group has been accused of being biased against the Duterte administration and many believe that the friendship between Rappler chief executive officer (CEO) Maria Ressa and business tycoon Manny V. Pangilinan (MVP) as well as relevant events in the past have something to do with it. MVP, chairman of Philex Mining Corp., and anti-mining advocate Gina Lopez, who was appointed by Duterte as Secretary of the Department of Environment and Natural Resources (DENR), figured in a heated verbal exchange during a mining industry stakeholder’s conference in Makati in 2012. In that same year, MVP said he is keen to buy a stake in Rappler. The businessman said "he would be interested to pour in capital equivalent to a minority stake." On the other hand, Lopez's appointment to the DENR post shocked the mining industry. In fact, her appointment caused the mining stocks to drop and mining permits to be cancelled. Ressa, meanwhile, is the former head of the News and Current Affairs Department of ABS-CBN, a media conglomerate owned by the wealthy and influential Lopez family where Gina is a member of. ABS-CBN, the Kapamilya Network, is a competitor of TV5 where MVP also holds a position as Chairman.